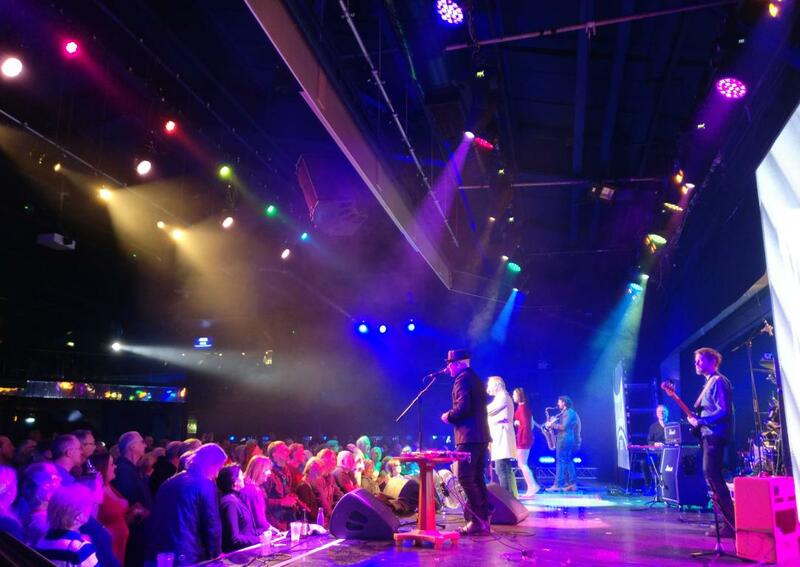 Share the post "Gig review: GREAT BRITISH ROCK & BLUES FESTIVAL – Butlins, Skegness, 18 – 20 January 2019"
Butlins in Skegness opened its doors to the holidaying masses back in 1936 and since then it has been serving up summertime fun and thrills as Billy Butlin intended. 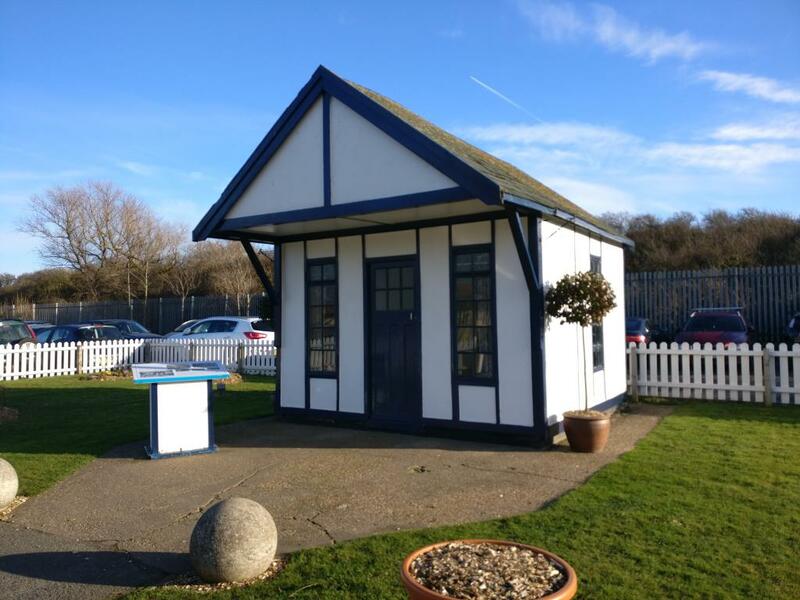 But during the cold winter months the site is mostly deserted, so what better way to bring the place to life than with a series of top music weekends. The premise is simple, themed weekends, great bands over multiple stages, onsite accommodation and various dining package options that leave you only needing your beer money on the day. A few of my colleagues at GRTR! 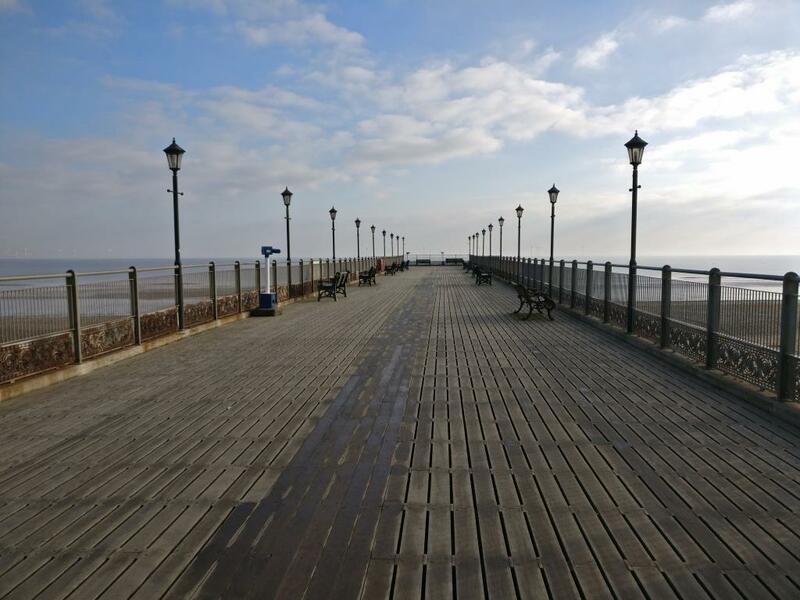 have attended the Giants Of Rock fest in Minehead and raved about the weekend, however Minehead is a bit of a drive from Scotland, so a trip down to the (slightly) closer Lincolnshire coast was duly arranged. After we arrived and sampled the excellent restaurant (highly recommended!) we didn’t have far to go for our first band of the evening, Burnt Out Wreck, who were playing on the Introducing stage located in the centre of the main complex. Fronted by Gary Moat, who I last saw behind the drum kit with Heavy Pettin’ many moons ago, the band were rocking hard and heavy. 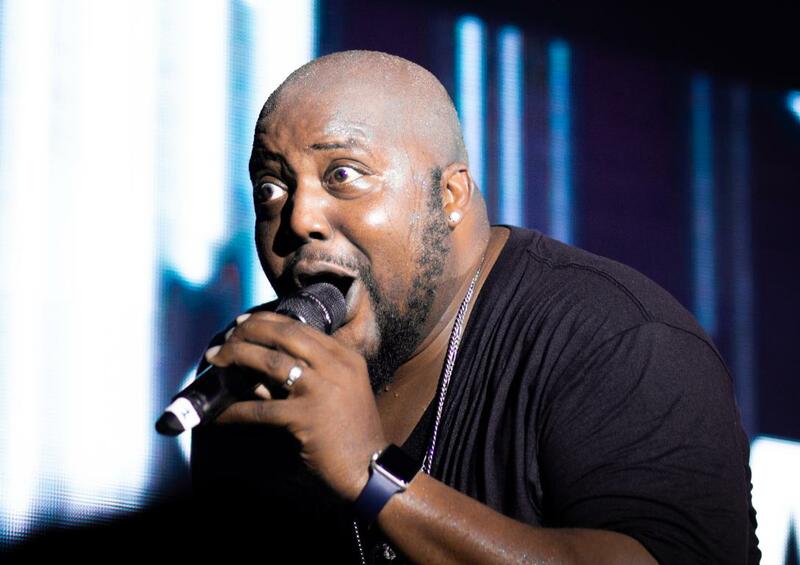 Gary is a larger than life character who has a good voice and a good line in banter between songs. Playing tracks from their album ‘Swallow’ the crowd soon warmed to the band. This was borne out by the fact that they won the popular vote on the day and have secured a place on one of the main stages next year. No doubt Gary celebrated with a glass of Burnt Out Wreck whisky that he was shamelessly promoting, cheers! Suitably warmed up on a very cold evening we ventured to the next stage in Reds which was deemed the ‘rock stage’ for the weekend. 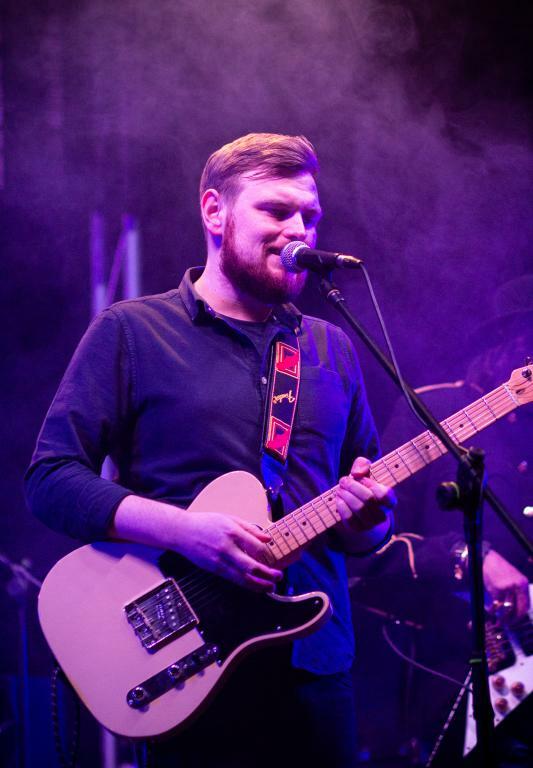 First on was Mike Ross, a winner of the vote on the introducing stage at last year’s festival who was landed with the opening slot on Friday night. 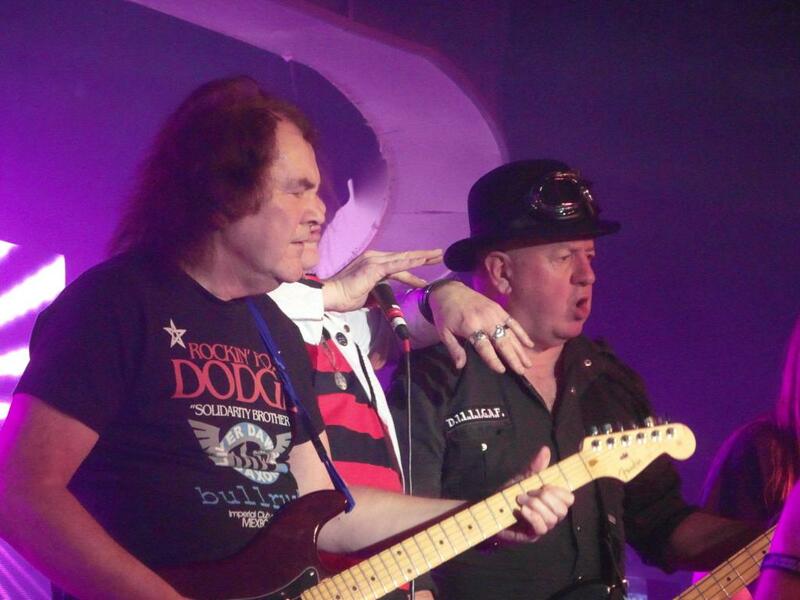 Mike plays excellent rocking blues with some tasty guitar work on show and a great vocal. 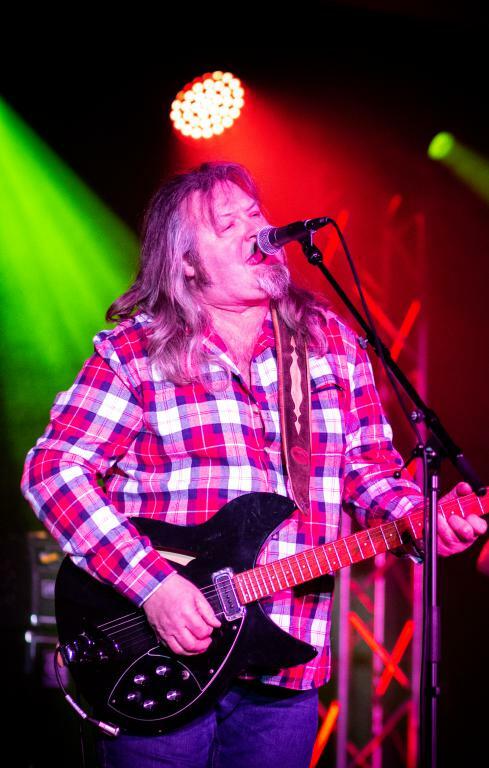 He was joined on stage by Jack J Hutchinson, his bandmate in RHR who released their debut album last year and if the tracks aired are anything to go by it could well be worth tracking down. 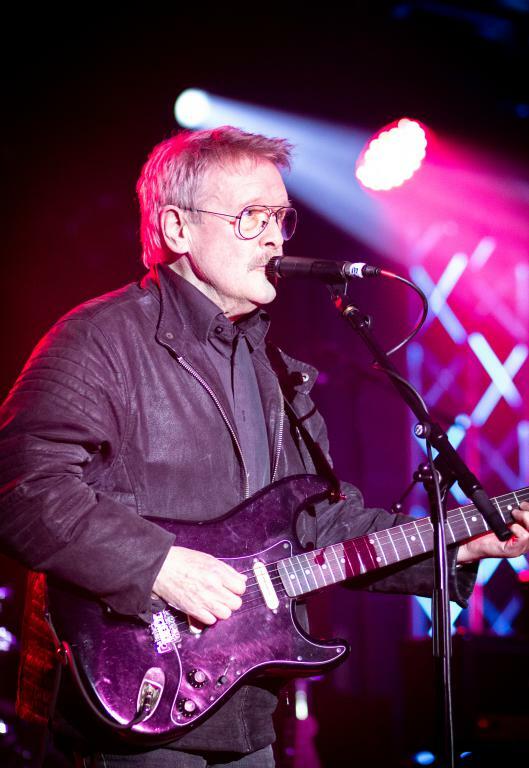 Both solo and with Hutchinson, Mike Ross proved to be worthy of his main stage slot. 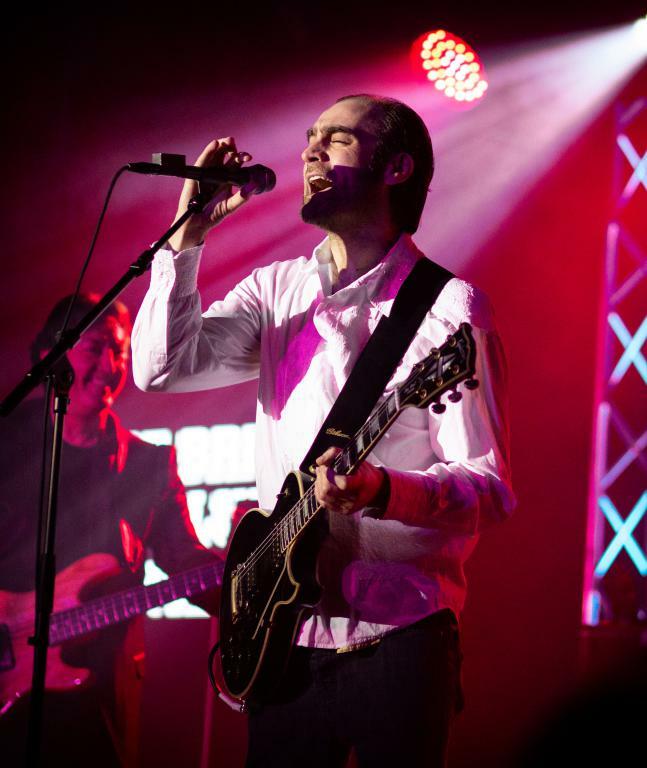 He has a solo album due for release in April and a tour planned for later in the year so there should be plenty of opportunity to sample the Mike Ross experience in the coming year. A quick run to the Centre Stage saw us catching the final numbers of slide guitarist extraordinaire Jack Broadbent. Playing a lap guitar he played some soulful blues with style. His father joined him on bass for his final number, a version of the Van Morrison classic ‘Moondance’ which was given a jazzy, blues twist. Jack was also punting is own line in hip flasks at the merch desk, handy if you had bought the Burnt Out Wreck whisky earlier in the day! 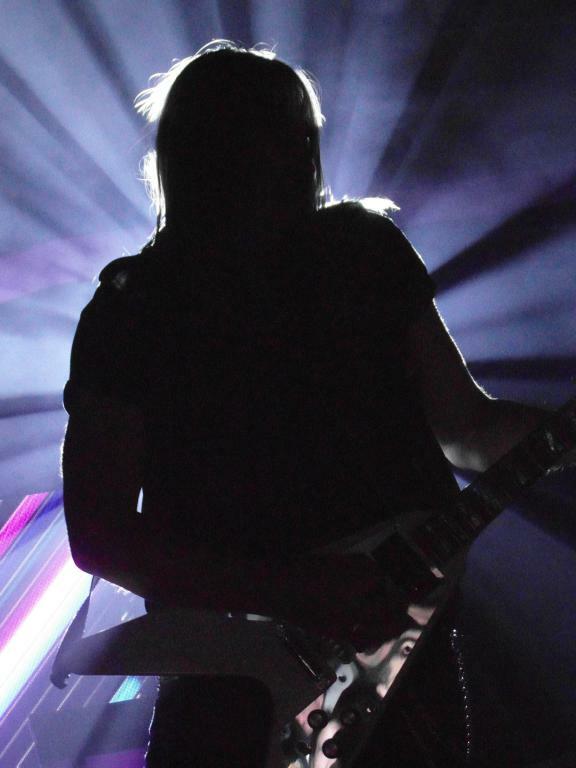 Back in Reds we entered the realms of rock once again with John Verity who put in a blistering set. Playing a mix of solo songs, tracks from his Argent days and the odd cover, he and his very able band produced a highly entertaining set. 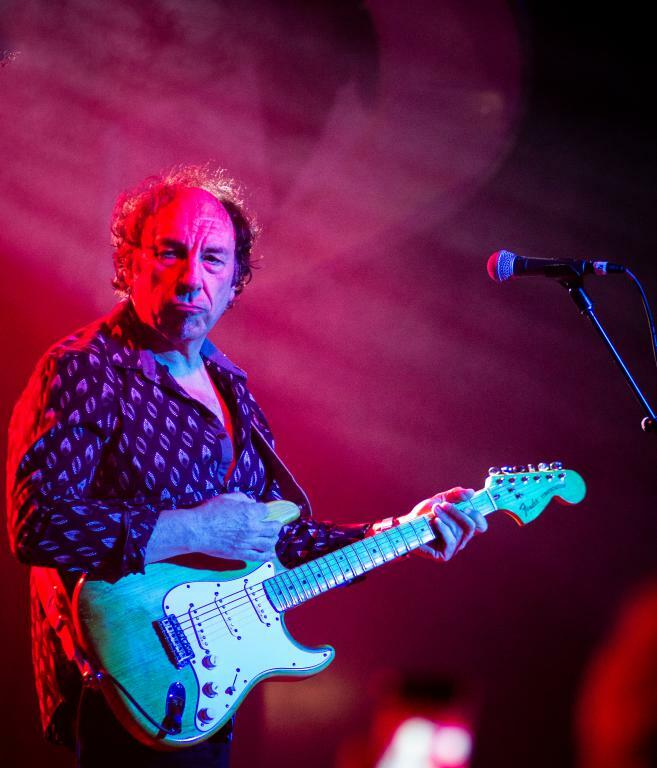 Highlights included the Argent classic ‘Hold Your Head Up’, ‘Blues In Heaven’ from his latest album and a fantastic rendition of the ‘Star Spangled Banner’ which segued into ‘Purple Haze’. For me though he saved the best until last with an excellent rendition of ‘Rocky Mountain Way’ complete with the necessary Joe Walsh style swagger. I last saw John Verity supporting Saxon more years ago than I care to remember, perhaps I shouldn’t leave it as long next time. 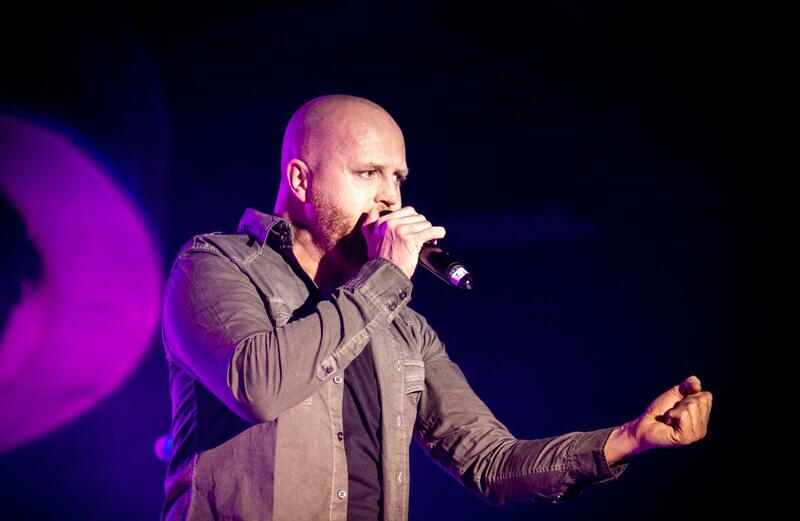 Johnson’s spot tonight was taken by Mark Wright who had the vocal prowess to more than fill the frontman slot. 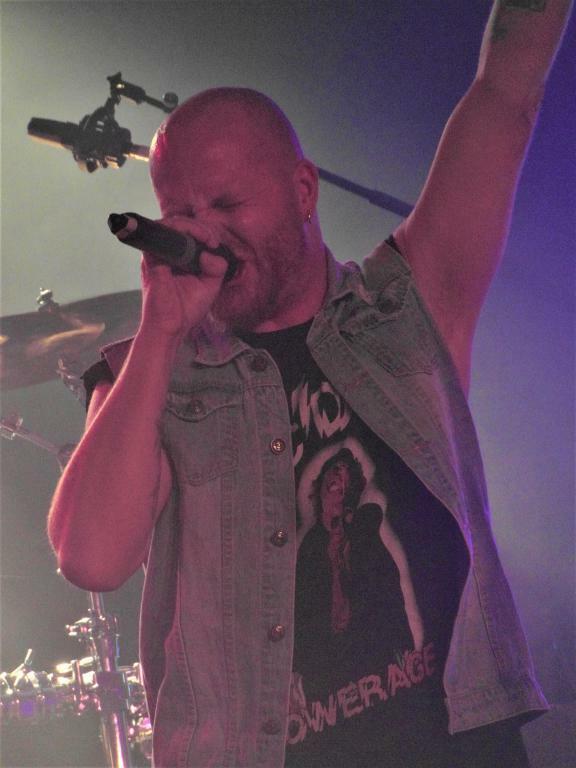 The band has two original members in the line-up namely Tom Hill on bass and Brian Gibson on drums and they looked ecstatic to be up and rocking again. The guys tore through a heavy set that had the crowd bouncing along encouraged at every opportunity by Wright. The guys saved the two biggest hits until last and finished on a high with a well earned cheer from the appreciative crowd. Hopefully more gigs will follow from Geordie in the coming year as they are well worth a second viewing and provided a fitting end to day 1. After exploring our surroundings and having a bracing walk on the beach we were ready for another day of rock, and what a day it promised to be with arguably the best line up of the three days. Starting back in Reds we had one of the few tribute acts of the weekend in the shape of Clearwater Creedence Revival who played all the hits of Mr Fogerty and co and went down a storm. The band recreated the CCR back catalogue well and with the calibre of songs to choose from there was something to please everyone especially ‘Bad Moon Rising’ which had the crowd howling along. 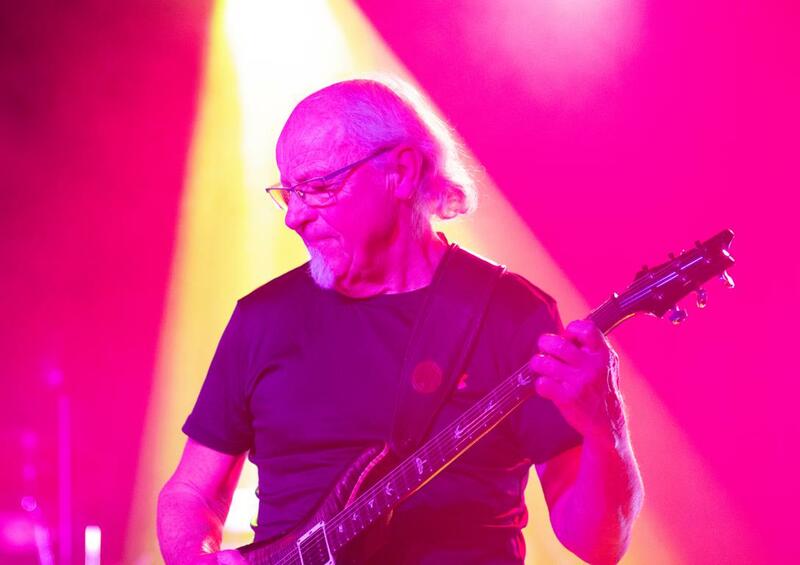 Next up we were treated to some prog rock royalty in the shape of Martin Barre’s Jethro Tull. Hitting the stage with a rocking version of ‘Steel Monkey’, the band never missed a beat. Barre’s guitar work was stunning throughout as was the vocal delivery of Dan Crisp who has perfected the vocal intonation of Ian Anderson to a T.
As well as Tull tracks we were treated to some of Barre’s solo work including ‘Lone Wolf’ from his most recent album ‘Road Less Travelled’ and a couple of Beatles’ tracks which were heavily reworked including an almost unrecognisable version of ‘Eleanor Rigby’. However it was the double encore featuring ‘Locomotive Breath’ and ‘Aqualung’ that really brought the crowd to their feet and the set to a rousing close. Martin will be out on the road throughout 2019 celebrating the 50th anniversary of Tull which should be a show well worth catching on this viewing. After an afternoon hiatus in proceedings and an all-out attack on the premium dining option buffet (an all you can eat breakfast and evening meal with something to suit all tastes including plenty of veggie options, what’s not to like?) we headed to the introducing stage to kick off the evening session. 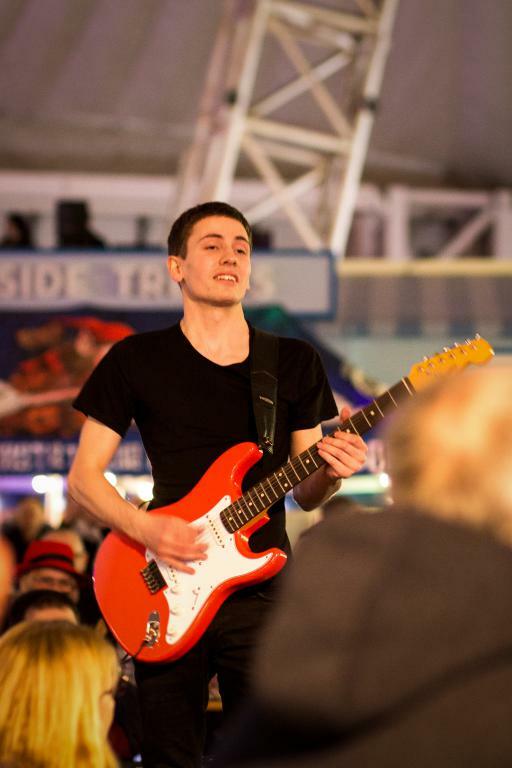 Already in full flight was young blues guitarist Felix Rabin who certainly knew his way around a fret board. Originally from Brittany, he move to Switzerland and played around the fringes of the Montreux Jazz Festival for years, playing with some big names along the way and getting some sage advice from legendary producer Quincy Jones. 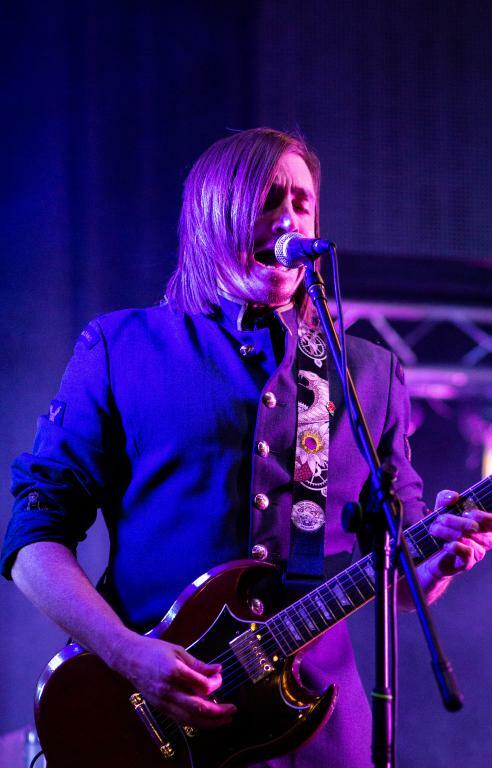 As we took our position the band started off an excellent version of ‘Purple Haze’ and it soon became clear that Felix is a very talented guitarist and that his band are more than capable of matching his high standards. Next for our delectation on the same stage was JFK Blue, a five piece who master in a more laid back blues style. Their more relaxed, soulful blues were welcome as we rested after a marathon session at the carvery and a bucket full of rhubarb crumble! 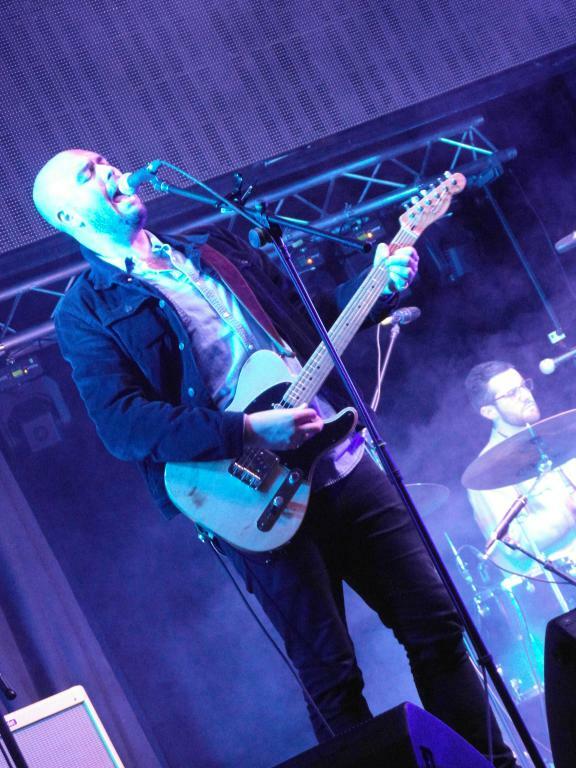 Frontman Chris Elliott had a good voice whilst lead guitarist Iago Banet led the band through tracks from their latest EP ‘Out Of The Blue’. Top track for me was ‘Slave’ which actually reminded me of Simply Red in parts, not sure if that is a compliment or not! The guys got a good reaction from the crowd and left the stage to a rousing cheer. The pace was raised several notches by the arrival of Skam to the Introducing stage. I last saw the band supporting The Quireboys and was impressed that night and again here the guys put on a great show. The rocking trio play with power and passion with bass player Matt Gilmore pulling some of the most ridiculous faces in rock. 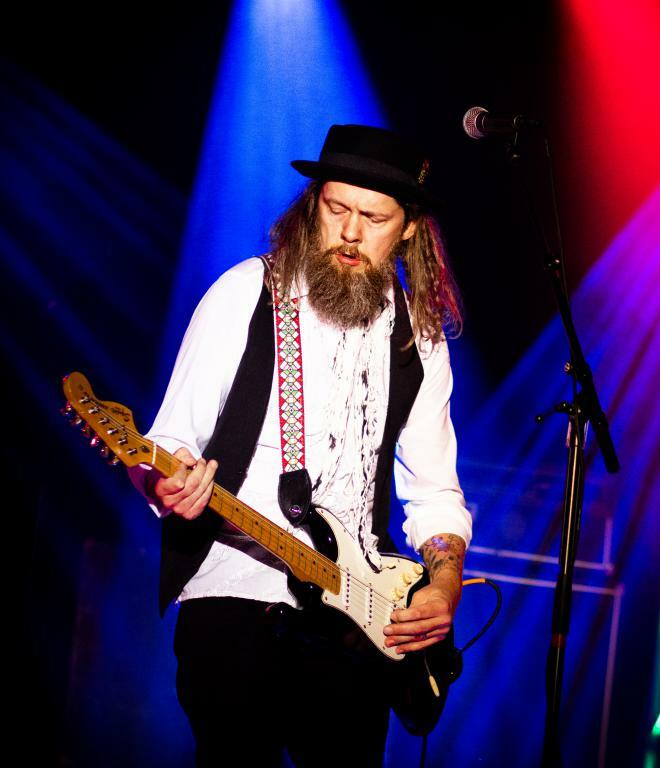 Steve Hill on vocals and guitar has a great voice and the band’s take on the classic rock genre went down a storm. Stand out tracks were ‘The Wire’ and ‘Bring The Rain’, the latter taken from the band’s last album ‘The Amazing Memoirs Of Geoffrey Goddard’. The crowd obviously agreed with my sentiment as Skam won the popular vote on the day and have secured a spot for next year, job done. We then hot footed around to Reds for Dare who played a blinding set. Darren Wharton’s celtic tinged rock was just the thing to get the festival crowd jumping on a Saturday night. With shades firmly in place throughout the performance Wharton was in very fine voice and led the band through a great set. Highlights included set opener ‘Home’ and the big hits ‘Abandon’ and ‘We Don’t Need A Reason’. Another track that impressed was ‘King Of Spades’ which was dedicated to his old boss Phil Lynott and was rounded off by guitarist Vinnie Burns playing the solo section from Thin Lizzy’s ‘Black Rose’ which was stunning. All too soon the set was brought to a close and the band took their well deserved applause. This was the first time I had seen Dare live but it won’t be the last! From one class act to another as next up we had the ‘mighty FM’ as their intro tape correctly states. 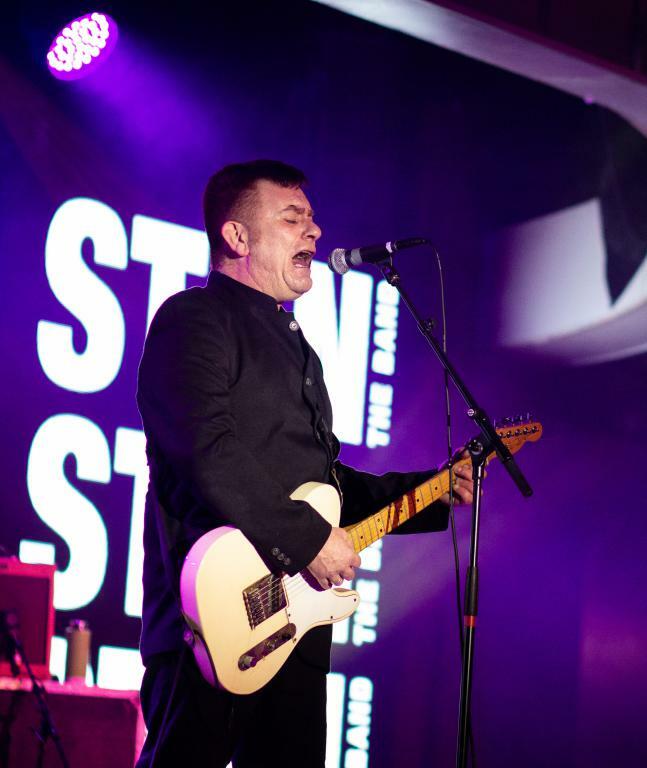 FM have been touring constantly for years and have honed their performance, slick I think is the perfect description. 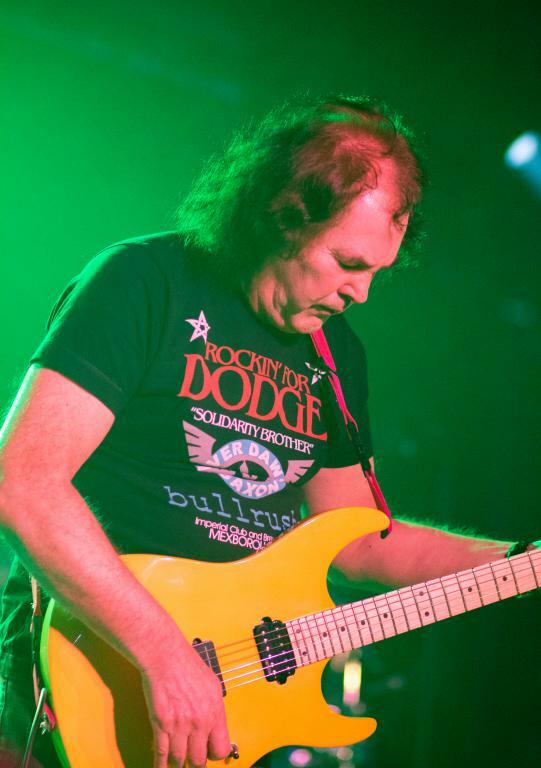 From the smooth vocal delivery of Steve Overland to the driving guitar work from Jim Kirkpatrick this was a fantastic set filled with classic melodic rock from one of the UK’s best. Opening with ‘Black Magic’ the band had the crowd on their side from the first bars. I have seen FM live a few times in the past year and the performance tonight was one of the best with perfect harmonies and a great sound mix which brought out the best from the songs. Set highlights were plentiful with the likes of ‘That Girl’ and ‘Life Is A Highway’ encouraging the crowd to sing and dance along. I was positioned near the stage in front of Jim Kirkpatrick and was well placed to watch his guitar playing which was first rate. I hadn’t given him credit before for his fret work but watching at close quarters made me appreciate his playing prowess. 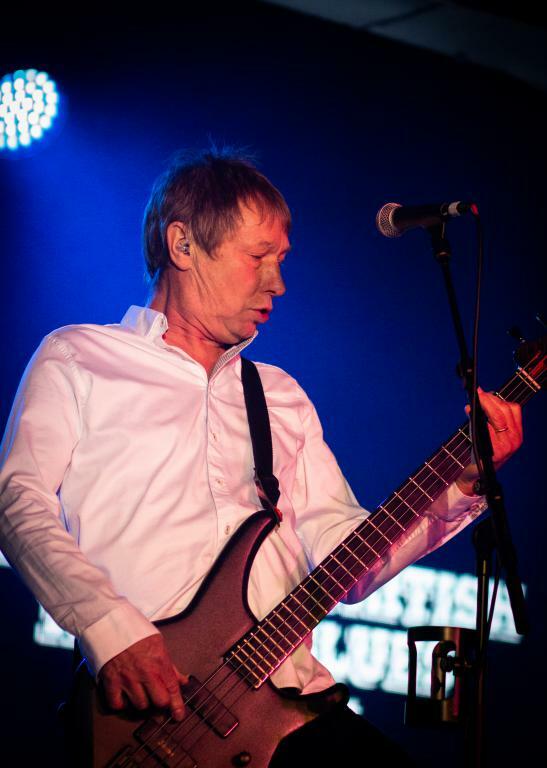 The rest of the band are no slouches either when it comes to playing up a storm, especially the rock solid rhythm section of Merv Goldsworthy and Pete Jupp. ‘Crosstown Train’ and ‘Tough It Out’ brought a great set to an end but the band were brought back for a final number in the shape of ‘Killed By Love’ which ended one of the sets of the weekend. 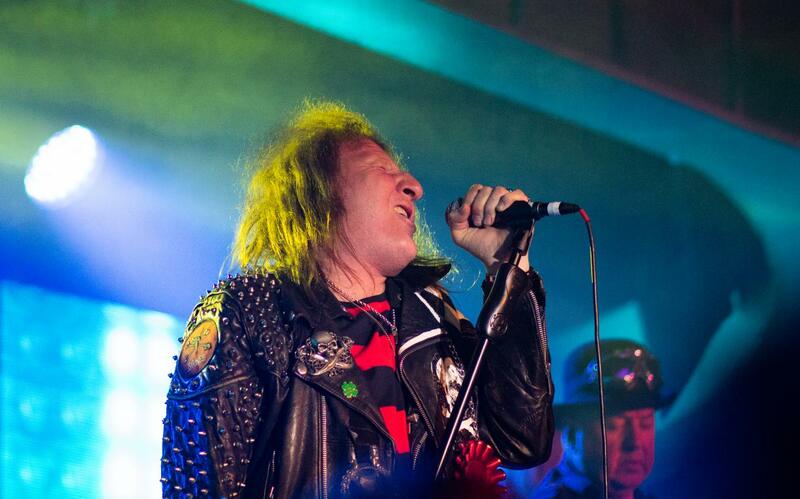 Another consummate performance from one of the best bands around, they will be back on tour in early 2019 with the Quireboys which will be a night not to be missed. 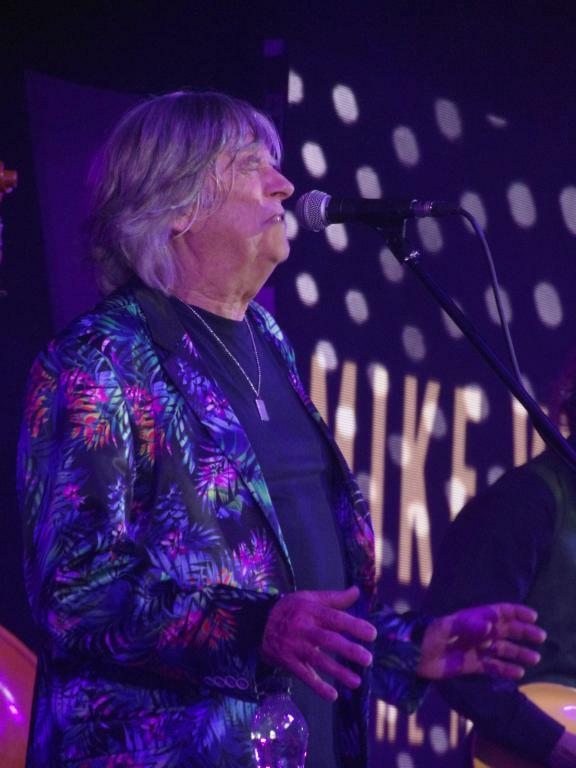 After FM we headed back briefly to the Centre Stage and caught a bit of Mike Vernon & The Mighty Combo who were going down a storm. Mike is a record producer and has worked on albums for many household names including Bowie, Fleetwood Mac and John Mayall’s Bluesbreakers. Dressed in a very bright multi coloured jacket he led from the front with the fun factor turned up to eleven. I only caught the last two numbers but such was the infectious enthusiasm it was enough to convince me that live Mike Vernon is pure entertainment. Back in Reds we were further entertained by Bon UK playing the AC/DC back catalogue. The guys do not dress up as their heroes, they focus purely on recreating the band’s music which was just what we needed late on a Saturday night. Stepping up into the Bon Scott role ironically was Mark Wright who had fronted Geordie the previous evening. One last pop into the Centre Stage followed to catch the last few numbers from larger than life Texas bluesman Sugarray Rayford. I wasn’t sure what to expect but I left wishing I had seen more. Sugarray was giving his all, drenched in sweat and belting out the songs backed by a fantastic band, his set had the crowd on its feet. His between song chat was just as entertaining as the music and had everyone in fits of laughter. As I said I only caught a couple of songs but would happily go to see him again, hopefully it won’t take him too long to return to these shores. Sugarray brought day two to a close in fine style and as we headed back to the apartment, ears ringing and smiles on our faces, I couldn’t help but think, forget hell, Butlins ain’t a bad place to be! After another hearty breakfast and a trip to the sunshine resort of Skegness (not to be repeated in a hurry!) it was back for more rock and blues, what better way to spend a Sunday? Opening proceedings today were another of last year’s introducing stage winners Stan The Band. Hailing from Newcastle the band had brought a decent support along to cheer them on. The band’s mild mannered rock was the perfect way to ease into the afternoon. The guys have been together for many years and have played support slots with many bands including Big Country and Brian May. Frontman, Colin Burrow on guitar and vocals, looked to be having a ball even at this early hour as did the rest of the band. They played a solid set which went down well with the growing crowd. 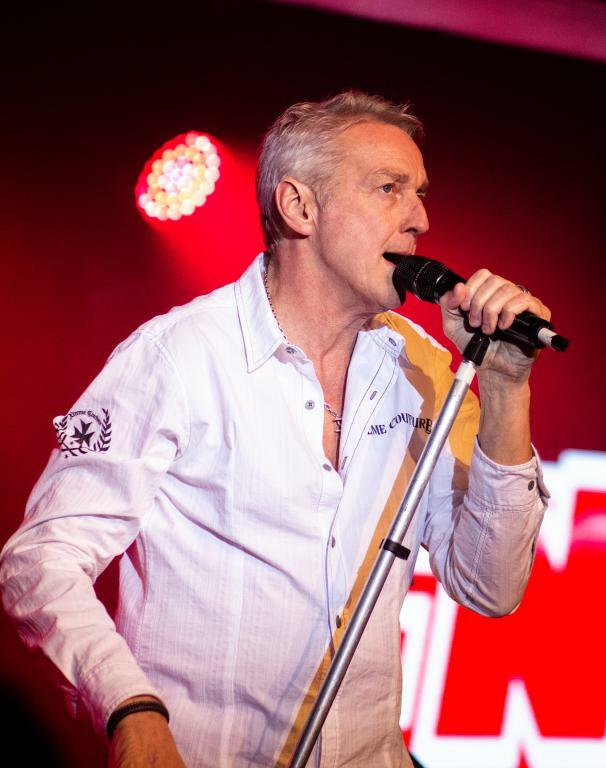 The crowd numbers had swelled significantly by the time Rhino’s Revenge took to the stage with a few Status Quo t-shirts evident in the crowd. I hadn’t seen the band before and on CD I was left underwhelmed to be honest, however live was another matter altogether. Ably abetted by Jim Kirkpatrick, he of FM fame, on guitar and Richard Newman on drums, Rhino led the band through a cracking set. Songs that on CD sounded a bit lacklustre took on a new lease of life live and the enthusiasm of the guys on stage was infectious. They were obviously having fun as well as there were plenty of laughs to be had on and off stage. Set highlights included ‘Secretary’ and ‘My Name Is Stan’ along with a couple of Quo numbers in the shape of ‘Two Way Traffic’ and ‘Jam Side Down’. This was a great way to spend a Sunday afternoon and I will certainly be taking in another Rhino’s Revenge show in the near future. We then hot footed it around to the Centre Stage to catch Rhythm and blues legends Nine Below Zero and just about managed to shoe horn ourselves into the hall. The crowd for Nine Below Zero was huge and with good cause as the band were on top form. The set was already a couple of songs in by the time we got a suitable vantage point and they had the crowd dancing from the front to back of the hall with their take on the classic ‘I Can’t Help My Self (Sugar Pie, Honey Bunch)’. 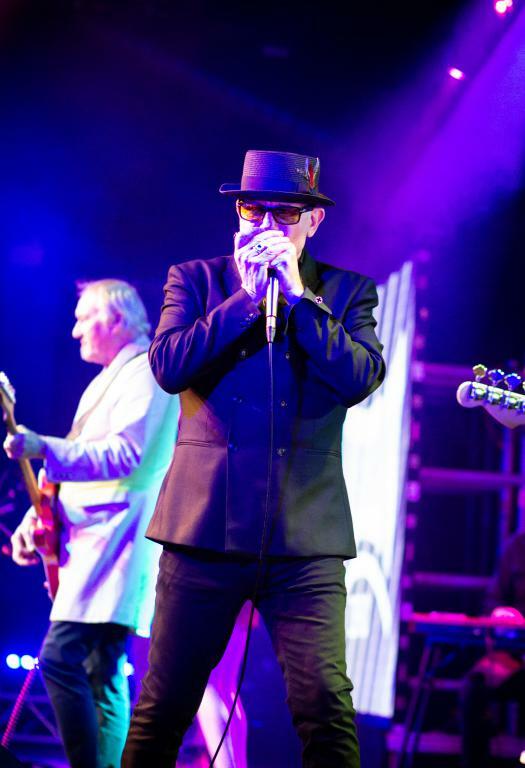 Dennis Greaves led the band from the front and shared vocal duties with Charlie Austen, who danced non-stop throughout the performance, and Mark Feltham when he wasn’t blowing up a storm on harmonica. Set highlights came thick and fast much to the delight of the crowd. Another top cover in the shape of ‘Rockin’ Robin’ went down well with the crowd as did ‘Don’t Play That Song (You Lied)’ and the excellent ‘Can’t Say Yes, Can’t Say No’. This set was one of the best of the weekend and the large crowd didn’t want to let the band go as the curtain closed. After another buffet blow out the evening session began with Robert J Hunter, a powerhouse blues trio who played with plenty of distortion and a dirty blues sound. The band played a decent set on the introducing stage to a small but appreciative audience. The band have released four albums to date, the last being ‘The Robert J Hunter Band’ released in 2018. The guys have had some good support slots so far and have a good following in the UK and Europe, ones to watch for the future. Closing the Introducing stage for the weekend was Born Healer. The band have been together for the past three years and play rocking blues. 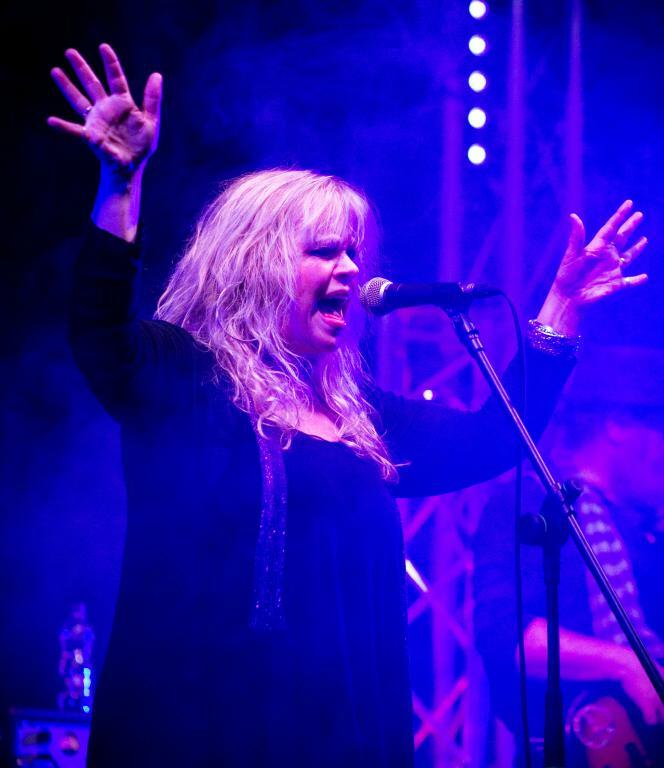 Fronted by Helen Turner from Glasgow she put me in mind vocally of Maggie Bell with a strong bluesy voice that worked well with the music. Again the crowd wasn’t the largest for their set, especially when the doors to the Centre Stage opened, but they went down well. Heading back to Reds for the remainder of the evening we took up our positons for Billy Bremner’s Rockfiles. 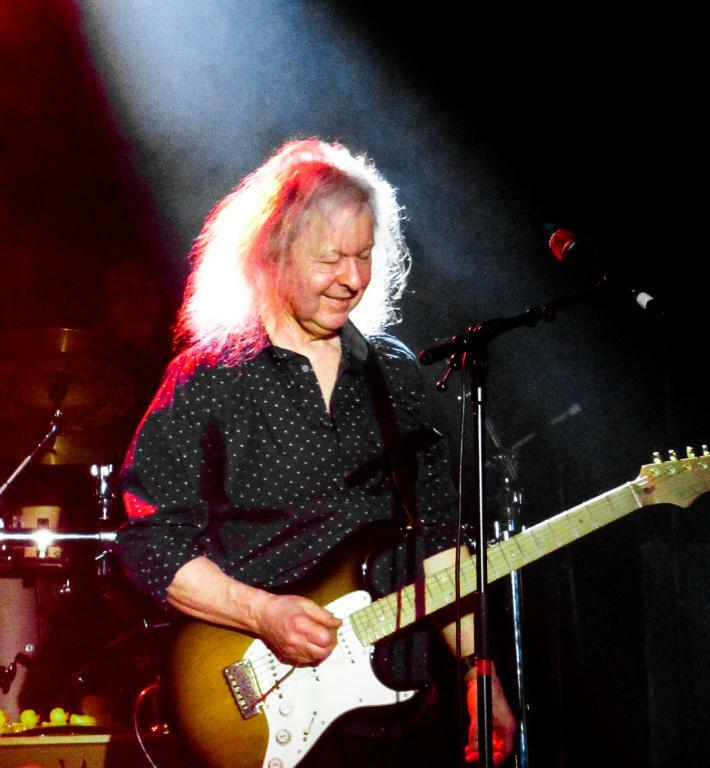 Billy has played guitar for many years, starting out in Lulu’s backing band before hooking up with Dave Edmunds, Nick Lowe and Neil Innes amongst others. 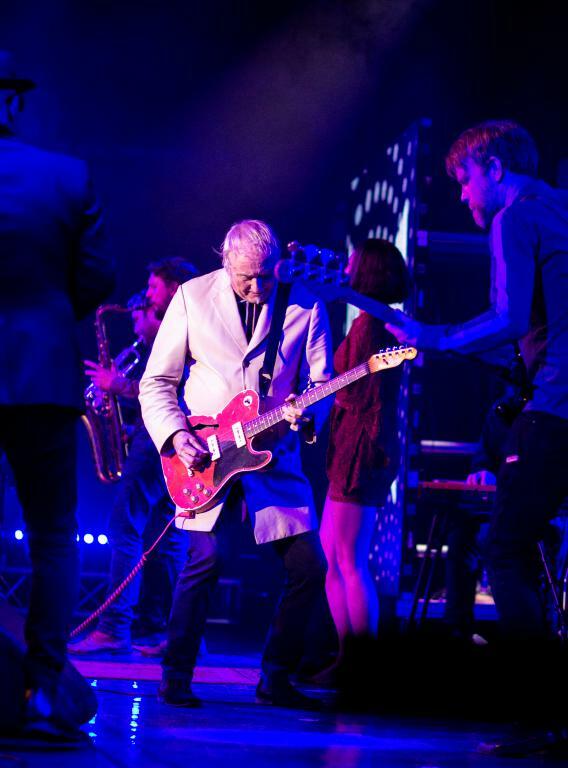 He also played with The Pretenders including laying down the lead guitar track for the hit ‘Back On The Chain Gang’! With Rockfiles though he is going back to his rock’ n roll roots and played a set full of classics that saw spontaneous outbreaks of dancing across the hall. With songs like ‘I Knew The Bride’ and ‘Singing The Blues’ the band provided feel good, timeless music that never failed to entertain. There were a couple of duff notes along the way, but hey that’s rock ‘n roll and no one was bothered in the least, they were too busy singing along. Up next we had some well known faces on stage in the shape of Kingdom Of Madness. 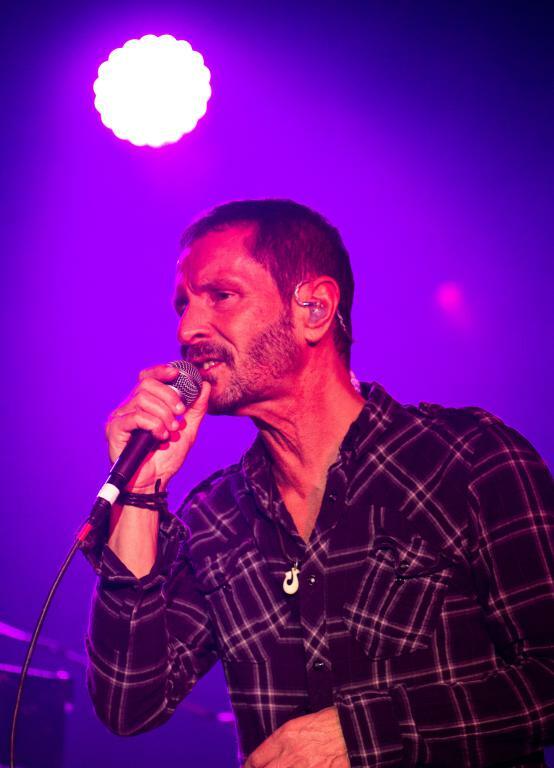 Led by ex Magnum keyboard player, Mark Stanway, the band roll call sounds like a classic rock who’s who. 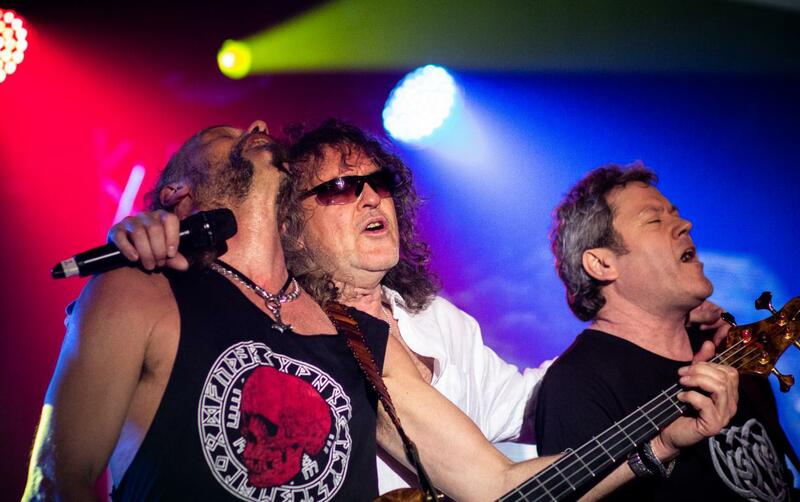 Neil Murray on bass, Lawrence Archer on guitar and Chris Ousy on vocals to name but three, all with years of rock pedigree. The premise of KOM is to recreate older Magnum classics that perhaps don’t get too much of an airing live these days. Chris Ousy was in fine voice and the guitar work from Archer was first rate as was Mr Stanway’s keyboard work. Mark, as it turned out, was playing with a hand injury which was causing him great discomfort, not that you would have known from watch him, what a pro! The set contained rare gems like ‘Start Talking Love’, ‘Rockin’ Chair’ and Only In America’ punctuating a set which gained a great reaction from the crowd, many of whom had come especially for this set. The song that named the band, ‘Kingdom Of Madness’, went down a storm with Archer churning out the familiar chugging riff. All too soon the set was brought to a close but the band are planning to be very active in the coming year, catch them in a venue near you soon. A quick jog, well more of a fast waddle after three days of premium dining, found us back at the Centre Stage for the closing gambit from The Animals And Friends. 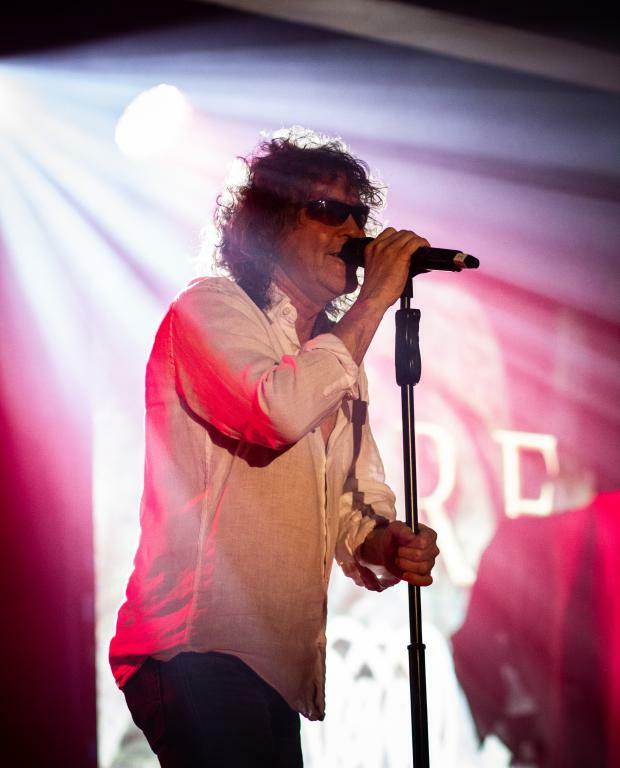 The band features original drummer John Steel and longtime keyboard player Mick Gallagher and had the huge Centre Stage on their feet once again. We only saw the last two songs, but what songs they were. ‘We Gotta Get Out Of This Place’ was followed by a storming version of ‘House Of The Rising Sun’ introduced by John Steel who revealed the song was recorded for fifty bob back in the day, I think it may have made that back and then some! That just left one band to round off the weekend back at Reds and what a band! 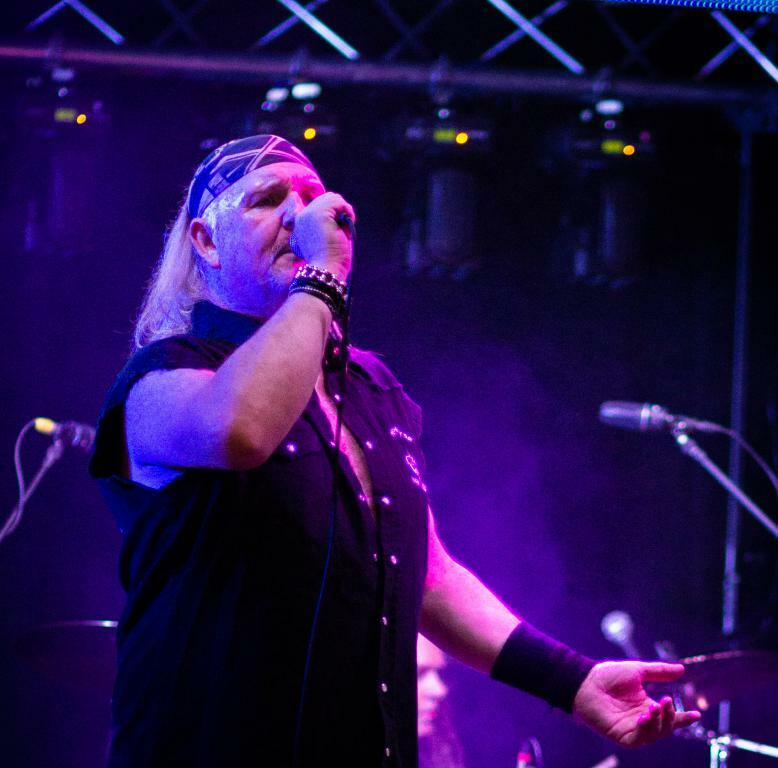 Oliver Dawson Saxon put in one of the performances of the weekend with a set chock full of Saxon classics that had the place bouncing. Kicking off with ‘Rock n Roll Gypsies’, the guys were on top form. 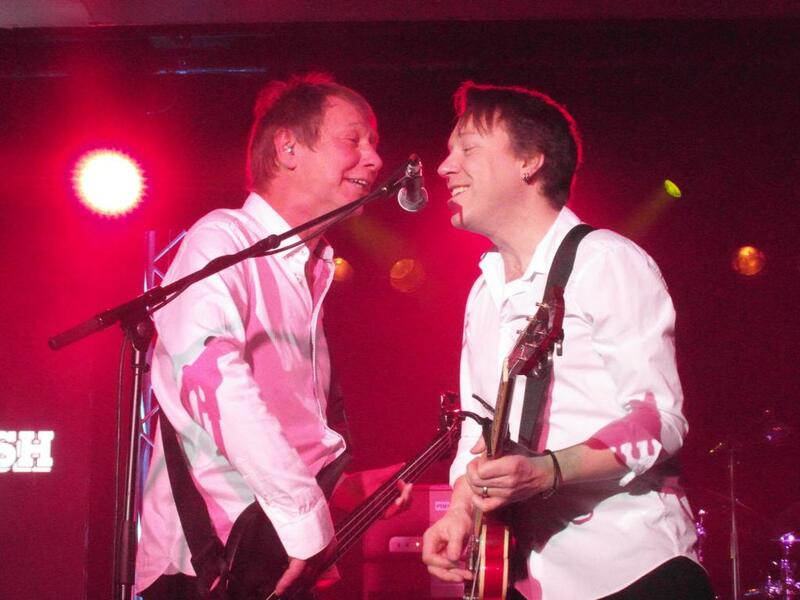 Graham Oliver and Steve Dawson may look a bit older and wiser these days but they are playing as well as ever. The rest of the band are no slouches either with Paul Oliver on drums, Gav Coulson on guitar and the fast talking, wise cracking Bri Shaughnessy on vocals. ‘Strong Arm Of The Law’ was followed by ‘Frozen Rainbow’, enough to keep any old Saxon fan, including me, very happy. The between song banter from Shaughnessy was a laugh a minute from tales of dodgy bus drivers to leading the crowd in a chorus of ‘Whispering Grass’ in tribute to the recently departed Windsor Davies! The highlight for me as with any Saxon set was the classic ‘Princess Of The Night’ which the guys played as if their lives depended on it. ‘Motorcycle Man’ and ‘Wheels Of Steel’ rounded off a fantastic set but the guys weren’t finished thankfully and returned for a blistering version of ‘Power And The Glory’, a perfect way to round off a great weekend. The whole weekend from the accommodation to the food and the music was spot on from beginning to end with the organisation second to none. 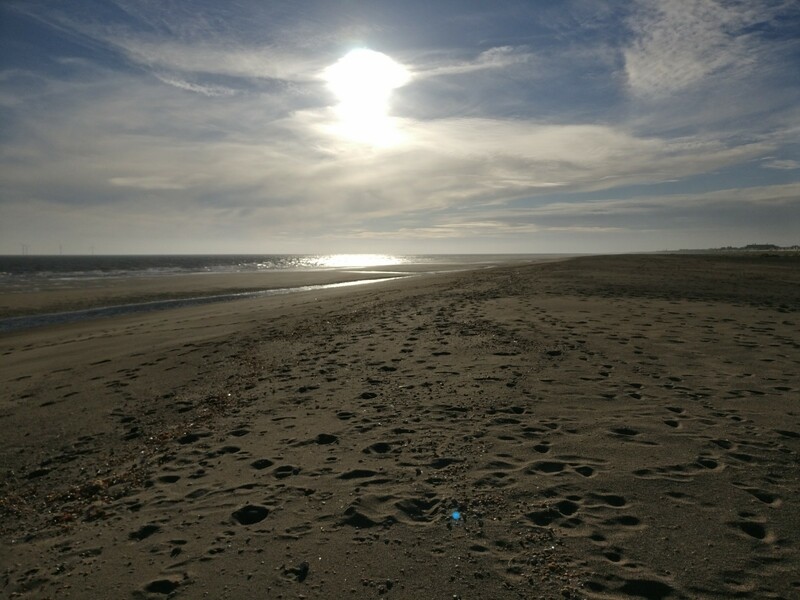 Butlins may not have been my first choice of holiday destination in the past, but Skegness in January could well become a regular fixture on the calendar. 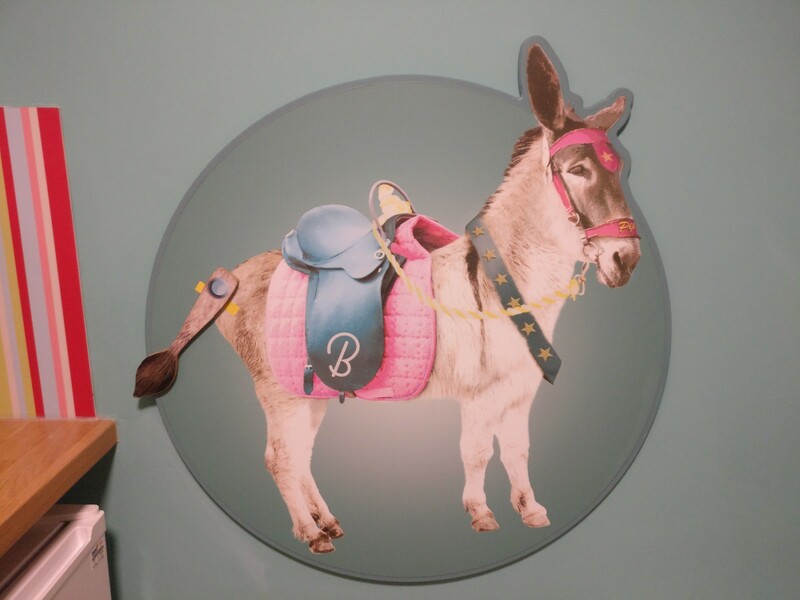 If you have thought about giving one of the Butlin’s Big Weekends a go I can highly recommend it, hell they even had pin the tail on the donkey in the apartment, what’s not to like! This entry was posted in All Posts, GIG REVIEWS, Special Events and tagged 18 to 20 January 2019, AC/DC. Sugarray Rayford, Billy Bremners Rockfiles, blues, Bon UK, Born Hunter, Burnt Out Wreck, Butlins, Dare, Darren Wharton, Dave Edmunds, Felix Rabin, FM, Gary Moat, Geordie, Graham Oliver, Great British Rock And Blues Festival, House Of The Rising Sun, Jack Broadbet, Jethro Tull, JFK Blue, Jim Kirkpatrick, John Verity, Kingdom Of Madness, Magnum, Mark Stanway, Mark Wright, Martin Barre, Mike Ross, Mike Vernon, NINE BELOW ZERO, Oliver Dawson Saxon, Rhinos revenge, RHR, Robert J. 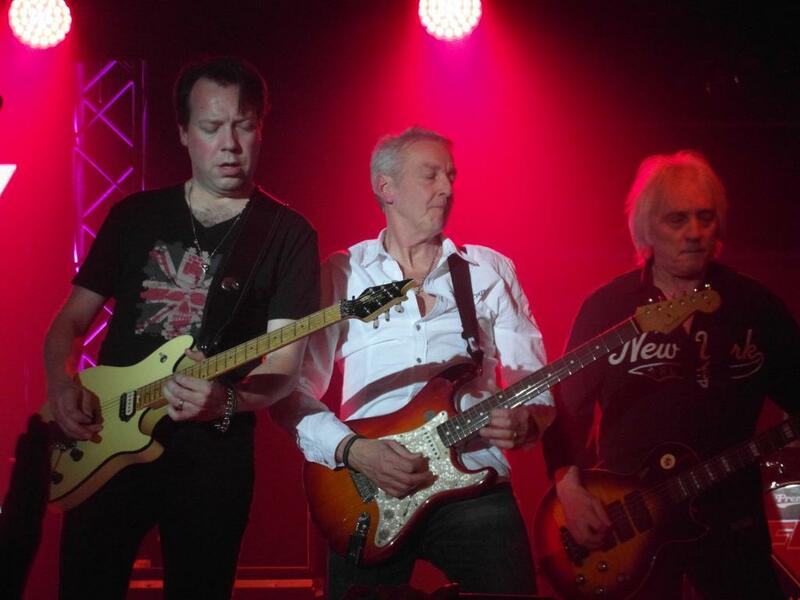 Hunter, rock, SKAM!, Skegness, Stan The Band, Status Quo, Steve Dawson, Steve Overland, The Animals And Friends, Thin Lizzy. Bookmark the permalink.